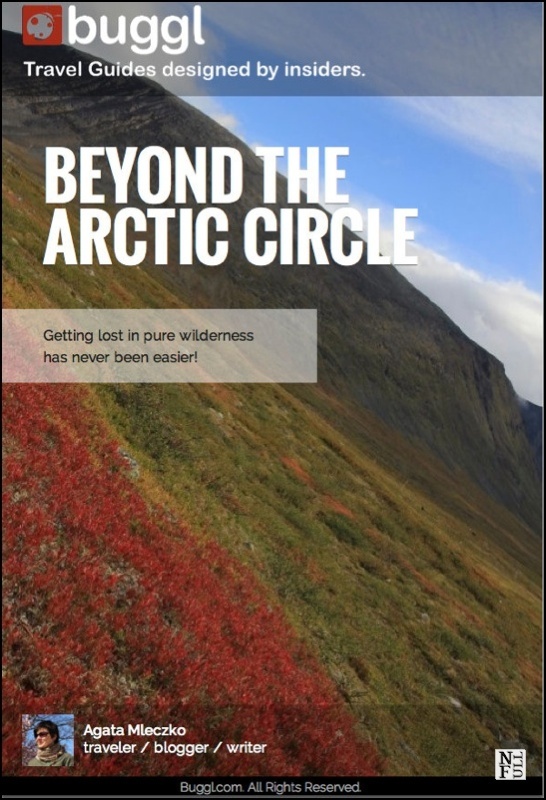 Here is the news: my first guide published via Buggl titled ‘Beyond the Arctic Circle‘. I’m very excited about it! 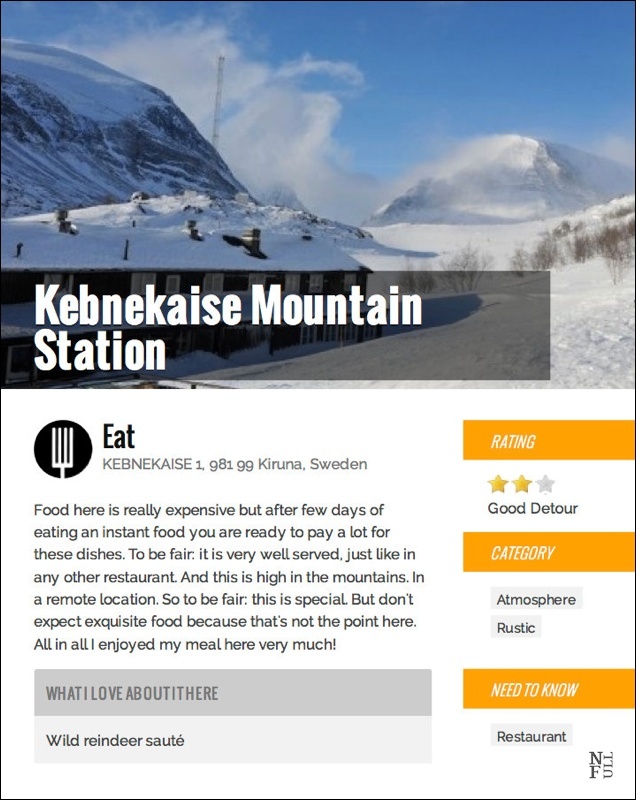 All my previous travels to Swedish Lapland are gathered and described here. All useful tips and ideas how to make this trekking pleasant and effortless are shared on pages of this short guidebook. Also my pictures collected throughout the years are used in this guide to show you where exactly they were taken. If you have ever considered a hike in wilderness but you still have some doubts this is a perfect guide for you. It brings you through the basics and makes your planing easy. 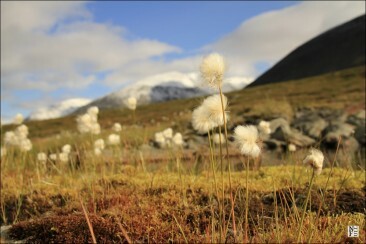 The guide ‘Beyond the Arctic Circle‘ consists of two parts: “Itinerary” and “Local Secrets”. 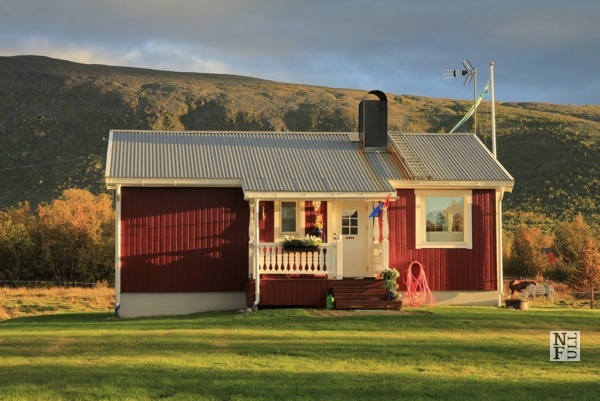 Local secrets get you through all sleeping locations, best views and also places where you can enjoy the local food. Itinerary brings you through the trail from Abisko in the north to Nikkaluokta to the east day by day. All sites are pinned on a map so you could get a general idea of this track. This part of the King’s Trail described in a guide is perfect for a week hike. I walked it many times from the north to the south and from the east to the north and enjoyed every time I was there. 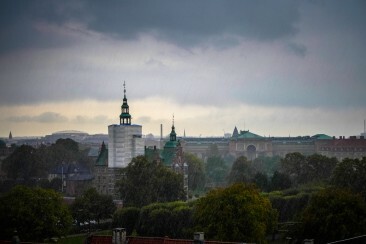 The weather in autumn is unpredictable so if you decided to go there read about the necessary precautions first. Local transportation is described to make your planning easier. You will find external sources of information under the section “Local Knowledge & Cool Perks”. I really hope you’ll find this guidebook useful and that the pictures published will make you plan your first trip to the Swedish Lapland. And who knows, perhaps one day we’ll simply meet there? Congratulations with your Guide Book, it looks very interesting. 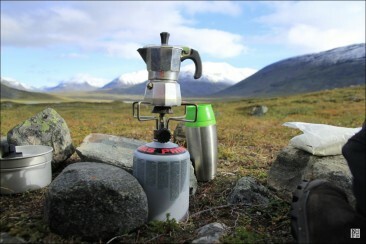 I have only been to Finnish Lapland so far but would love to explore Swedish Lapland as well one day. 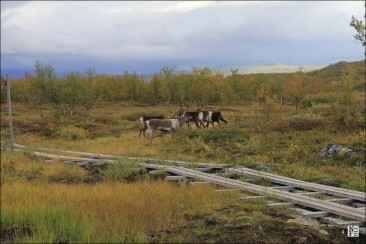 It is pretty common – to associate or visit the Finnish part of Lapland. 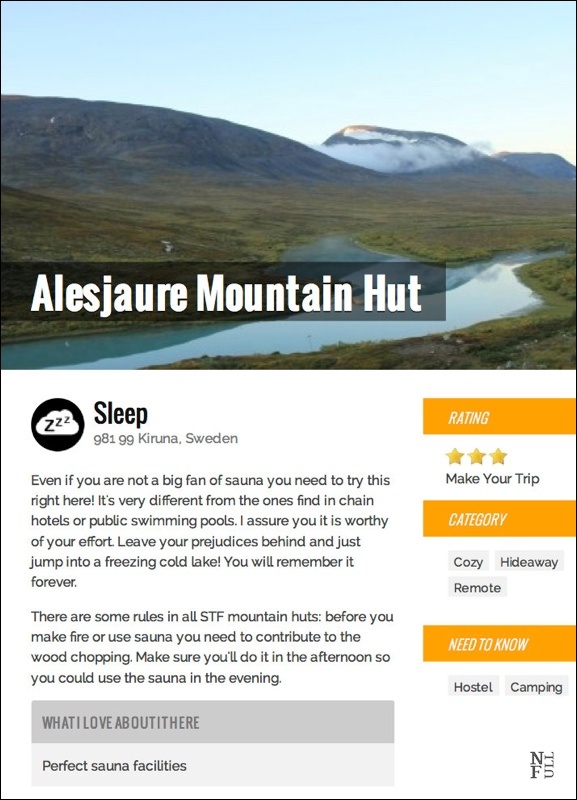 I think Sweden has a lot to do here, to encourage people to visit THEIR part. And a huge potential to do so!